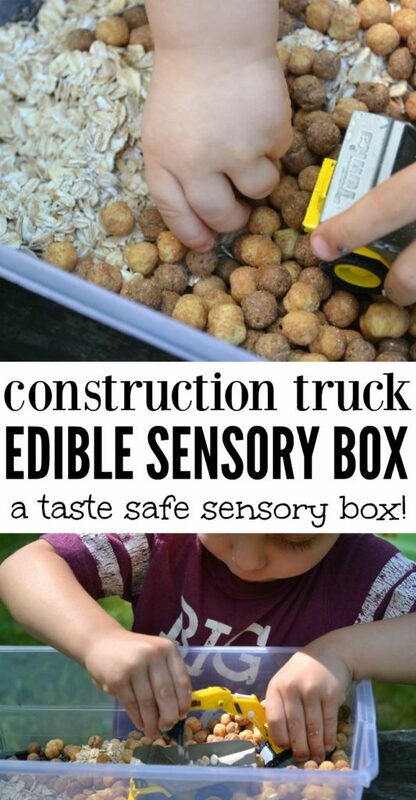 This Construction Truck Edible Sensory Box is the perfect mix of learning and fun – tasty treats of different textures are added to a box with your kid’s favorite trucks to make a taste safe sensory box! 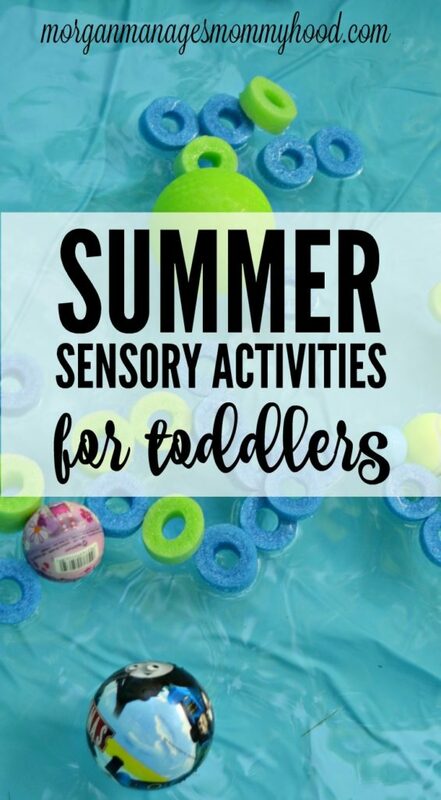 I always love the idea of sensory boxes – learning through tactile exploration is a fun idea and to be honest, I know that I love putting my hands in different textures, so it must be even more fun for littles with growing brains. But the problem is, every time I look one up and try it out, I end up regretting the decision. 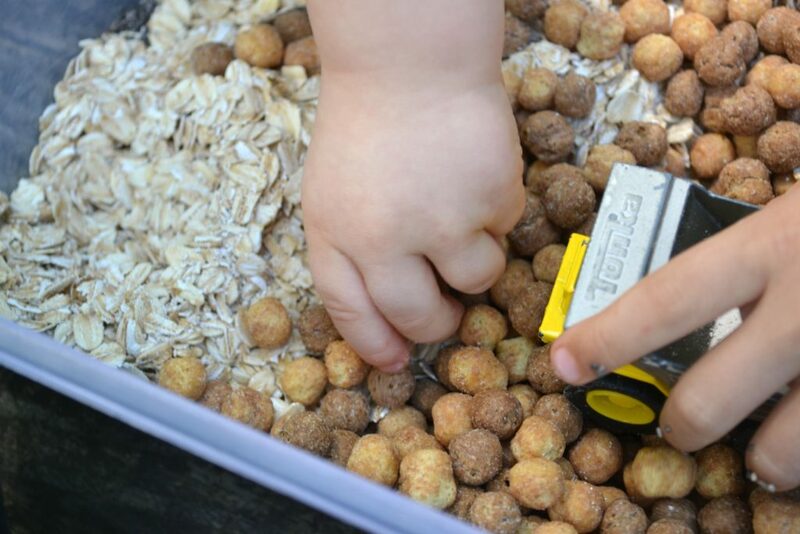 For the most part, the vast majority of the sensory boxes you’ll find use things like rocks, pom poms, buttons, dried beans, and pasta – that type of this. Do you see a problem here? I don’t know about your kids, but if you put small things in front of mine, they will almost always end up in a mouth. So anytime I put together one of those cute sensory boxes, I end up arguing for an hour, battling to keep river stones or farfalle pasta from little mouths for fear of having to practice my Heimlich. That being said, I do enjoy letting the boys explore sensory boxes, especially if I can add a truck theme to them because we all know the boys adore their trucks. So I went on a mission through my house and grocery store to find some things to put in a sensory box that wouldn’t require me hovering over them if they decided a taste was necessary. 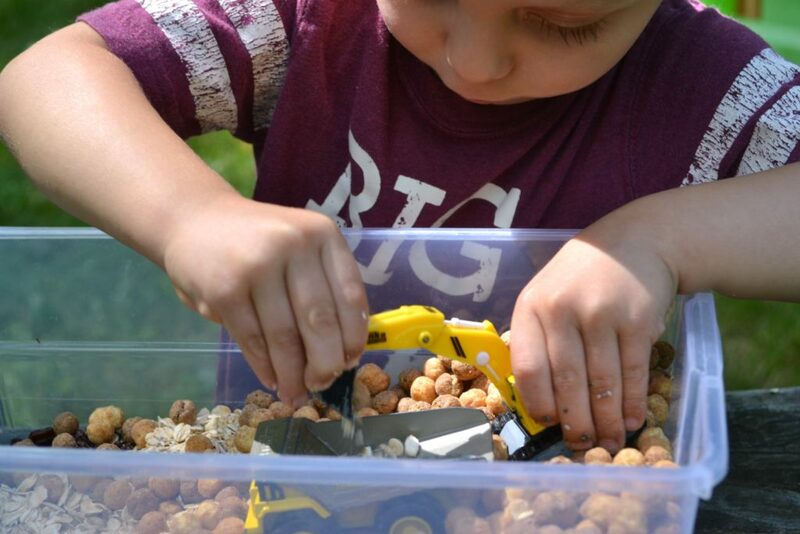 Which brings us to this super cute Edible Construction Truck Sensory Box! It uses only things that are edible and safe for little mouths, so you don’t have to worry as much about your little shoving things into their mouths while they play. Because, let’s be totally honest – everything goes in their mouths. It’s a law, I think. 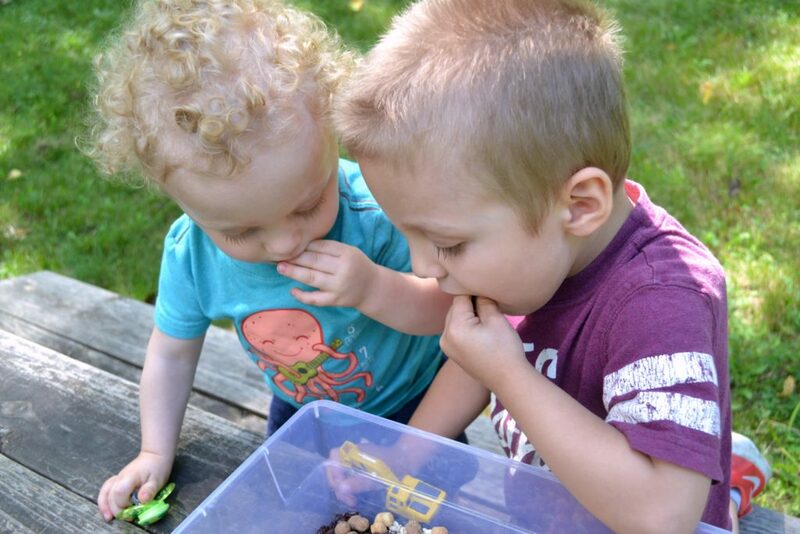 So while I’m not encouraging my boys to eat the sensory box ingredients, I don’t feel like I need to worry nearly as much as I do with more traditional sensory boxes. Want to put your own together? It’s crazy simple. First, grab an empty, clean tub with a lid so that (if you desire) you can store and reuse later. 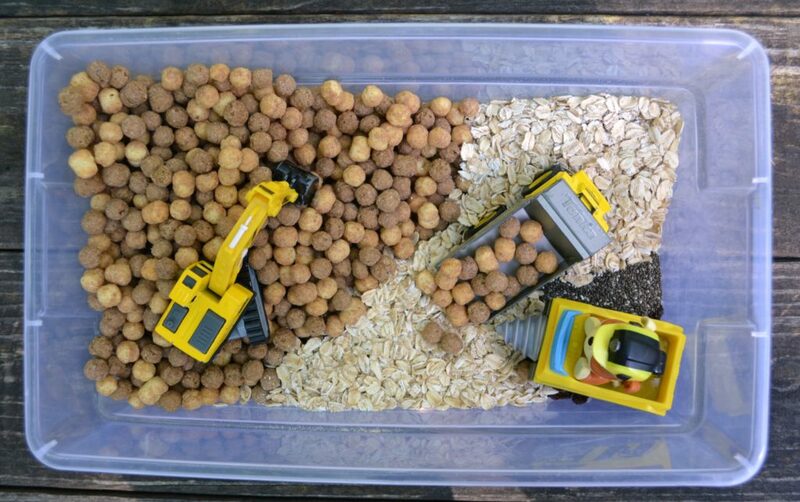 Next, strategically place your ‘ingredients’ to look like different parts of a construction site. Chocolate peanut butter cereal as rocks. You can also try crushing some in addition to the whole ones to add more texture. Oats as sand. Again, pulsing some in a food processor to add to the texture would be fun! Chia seeds. Not sure what this would be, but it’s such a cool texture. You could also try flax seeds. 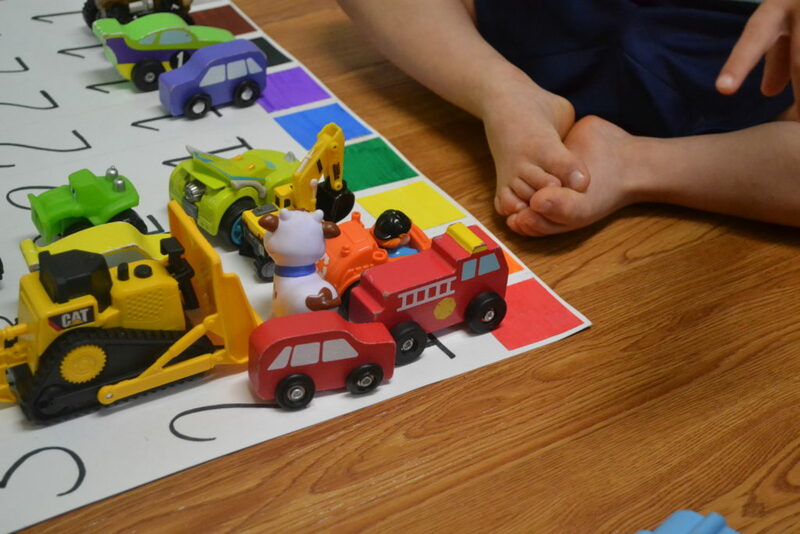 Finally, add some of your kiddos favorite construction trucks. 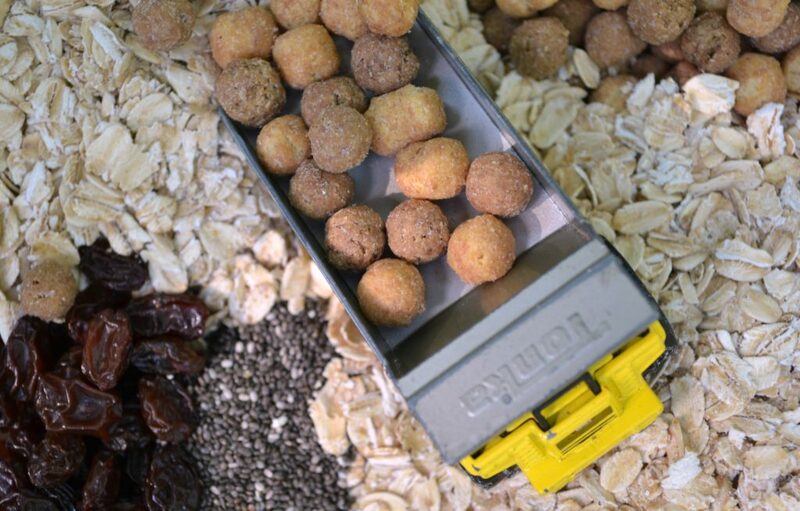 I recommend using ones that can be rinsed off since we are working with food – so nothing with electronics. Let your kids have at it! Ask them how different parts feel, what the cereal reminds them of, what kind of work the trucks are doing- anything! I should say here – I put mine in a tub with a lid so that I could reuse it. Use common sense here and check your stuff before letting kiddos play to make sure nothing has gotten into it and that the cereal isn’t dangerously stale. On the same note, use cereal that you know your kids eat without choking. For teeny babies, something so small and round (like mine) might not be the best idea. Maybe try a cereal or puff type thing that melts in the mouth. That being said, my boys were so into it. They loved playing with it and I think they really enjoyed not hearing me say, “not in your mouth!” a million and seven times. Ryan has asked to play with the ‘snack game’ every day since. 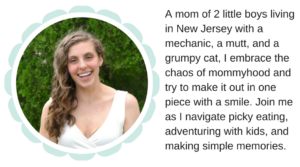 Okay, so tell me – do your kids shove absolutely everything in their mouths? Would they dig (see what I did there?!) an edible sensory box? Let me know in the comments! I LOVE this idea. We may try it out this afternoon. 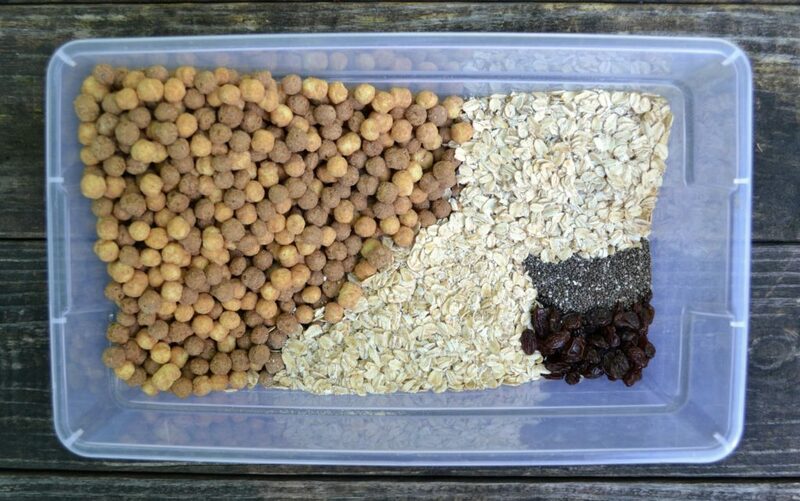 I have a little guy who LOVES to dig in a bin of rice, but this would be a fun change of pace with the cereal, oats, and chia. Perfect! Yes! Honestly, the chia is the coolest feeling, but the cereal is the tastiest, ha! Who doesn’t love to play with their food.